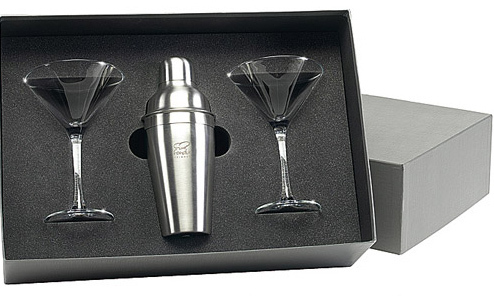 Martini Shaker Gift Set Shaker and 10oz.glasses. Contents Include: (1) 18 oz. stainless steel martini shaker and (2) 10 oz. martini glasses in a Gift Box. Every person needs a Martini Gift Set these days. Shaker etched only.